The staffing crisis in our profession and in the NHS as a whole is covered heavily in the news, with predictions of more than 50,000 nurse vacancies by 2021. Spending by NHS trusts on bank and agency nurses exceeded £1.46 billion in 2017, according to a study by the Open University, underlining how crippling these fees are for the NHS. On a brighter note, there was a small increase in the number of nursing degree applications for the 2019 academic year compared with the two previous years, though applications are still significantly lower than in 2015-16. Reports have also highlighted figures showing that almost one third of nurses have considered leaving the health service. On top of this, bullying of newly qualified nurses is increasingly in the spotlight. With this in mind, universities and workplaces should prioritise support for students and staff and promote this during recruitment. Media perceptions of our profession need to be flipped on their head. Yes, negativity may sell, but it would be great if the media could highlight the incredible work and improvements for patients being made by nurses across the country. 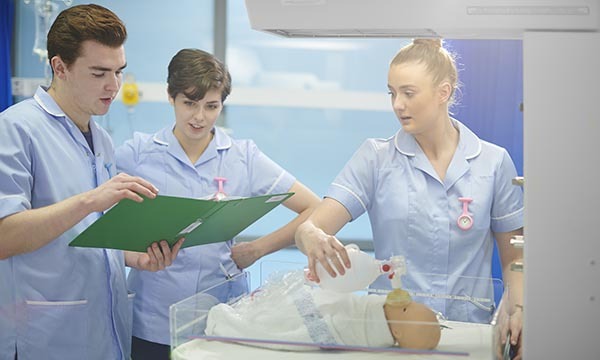 Careers in nursing should be promoted more in schools and colleges across the country, with an emphasis on what a rewarding career it is, and how people can grow and develop in the profession. Nursing should also be promoted as a gender-neutral profession to help attract more applicants. It's hard work becoming a nurse, and the job has its challenges and difficulties. However, a career in nursing is an incredible opportunity. Staff shortages and the realisation of the effect they will have are worrying, but we need to do all we can to promote what we do in a positive light.